Chaim, Henry Tejman Dr. Jerusalem. to see that the light is bended to the outside. so light that comes in a straight line, will come out of this puncture in wider directions. the smaller the hole, the bigger is the bending. On school we learn this is a common feature of waves. But, this doesn't satisfie me.....what is the real complete explanation??????? so everything has the same frequence. the reason for that is because gravity affects anytthing with mass. We shine a laser on a diafragma with a small slit in it. Behind this diafragma we set up a screen. we can change the width of the slit. anything of bending. The spot on the screen doesn't change. So we can still say that light goes in a straight line. the light doesn't only go in a straight line, but is bended horizontally around the corners of the slit. On the screen we will see a line of light, but interrupted with non light parts. When we make the slit smaller again, we will see that a whole line appears on the screen. Well, now i think the situation is clear, light bends, and not only by the bending of space. And my stupid book only gives the explanation that light bends because it is a wave, but I want to know exactly.....HELP! the diffraction pattern. [that is not bend]. independent to their geodesic path, I must disagree. photons exhibit properties of mass; ie. energy and momentum. 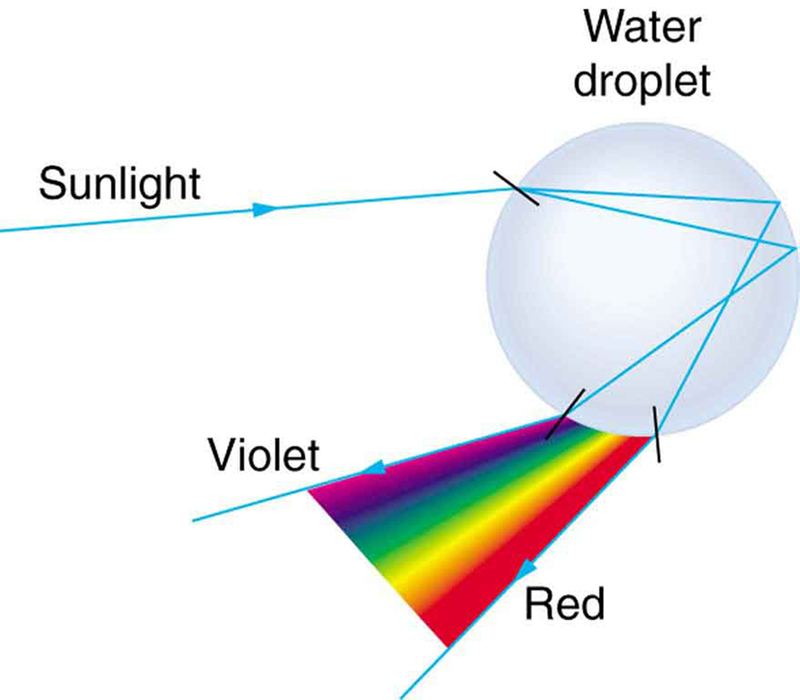 wavelengths of light A prism separates white light into its component colors. you can see the separated colors more easily. This is called dispersion. Bends of light explanation by Tejman’s United Nature-Wave theory. motion creates quantum formation that create everything. create two semi loops quantum formations. to all stable formations, from galaxies to atoms..
Tejman’s article “Electron motion spin explained the NATURE ingenious creation. That means electron, sun and earth are closed quanta formations. Our earth is big electron-neutron that means two spins closed quantum. sun then gravitational forces [ in very closed distance] are very strong and push the earth away. and equations [but always with balance of both forces semi ]. Tejman’s equation claims: that for stabile quantum formation must always be energetic equilibrium of [two semi loops] bubbles forces including open quanta of light. 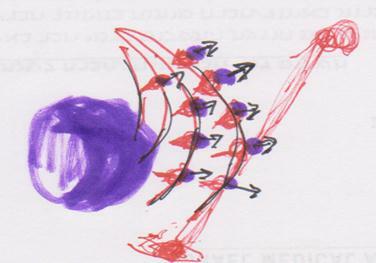 Light continue two semi loops [forces] open quanta. 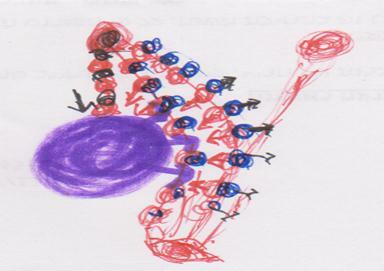 From telescopic pictures of a nebula the expelling of several rotating discs bound together by a cloud like substance is noticed (as depicted in above drawing). These discs shine as bright as stars. 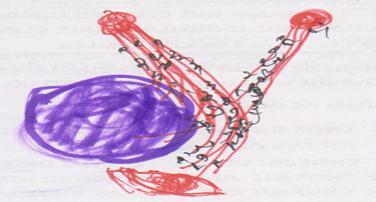 This observation triggered the thought that the motion of photons has a similar form and are quanta formations. Scientists have long been able to describe how electricity flows through a wire. 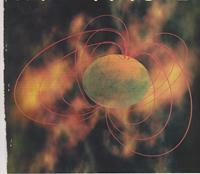 However, Wave Theory and the pictures from the Hubble Space telescope show how this occurs in nature. Pic 17: These pictures depict the light stream and it's reflection from a surface (left), where red is the direction of motion of electric semi-loops, and blue is the perpendicular magnetic semi-loops. Within the light stream there are opposing directions, due to the magnetic semi-loops. That is the reason why the reversal of directions via reflection is at the same angle. Stream of Light composed by photons. 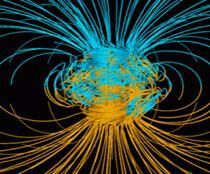 : has electric and magnetic--gravity swirls. That means photon has mass. of electromagnetic waves in gravity semi loop. Only Wave theory –quantum two semi loops explained this Einstein’s ingenious prediction and experiment. The nearest light path are swelled. The distal path escapes but change the path direction. That was ingenious Einstein idea. This article is one of many to come in a series regarding the photon. and will be continuously researched, as long as mankind exists.